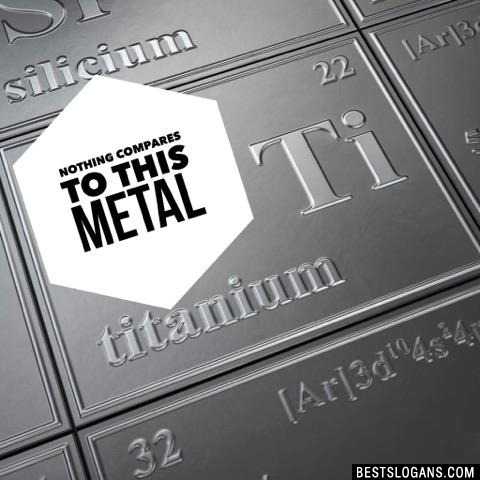 Titanium was discovered in 1791 by William Gregor, but was named by Martin Heinrich Klaproth. 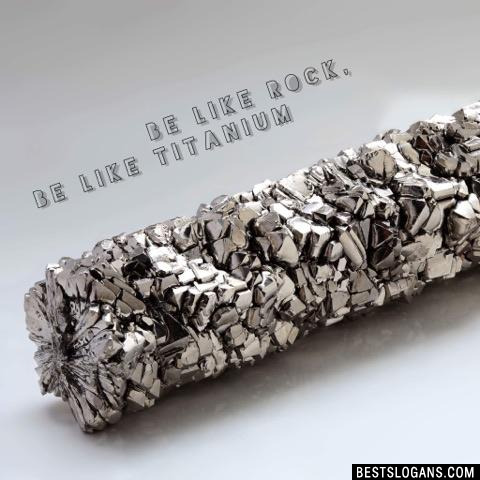 Found in a wide variety of minerals, titanium is also found in every living thing. Titanium makes up less than one percent of the Earth's crust, at .63% by mass. 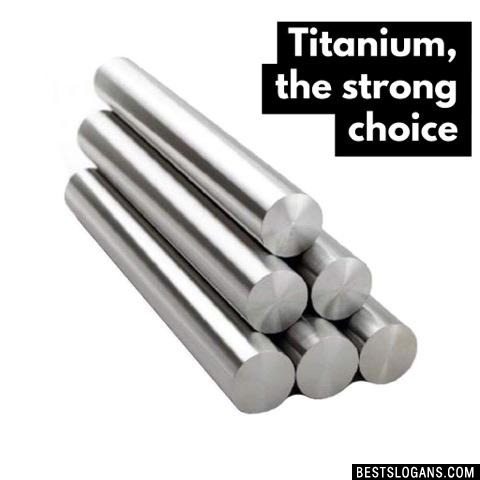 Titanium is not poisonous and is not likely to be rejected by the body, so it is used in a variety of surgical implants and tools. 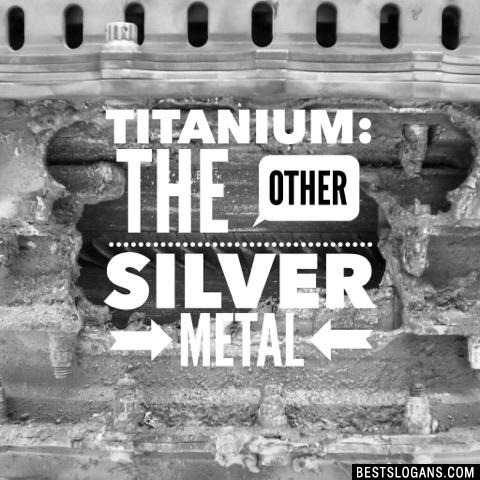 Titanium is being studied for the long-term (over 100,000 years) storage of nuclear waste since it is non-corrosive. 6 No titanium, no way! 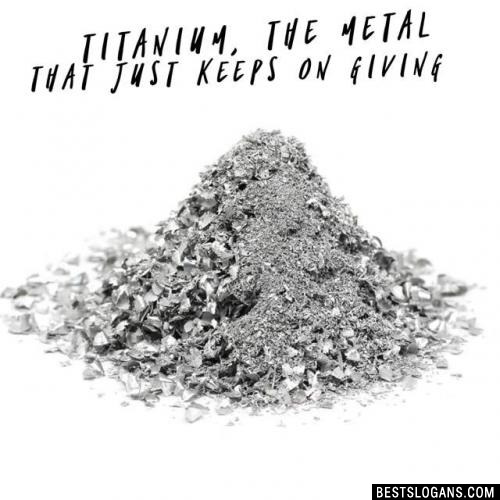 13 The metal that lasts and lasts. 15 Want strong resistance, use titanium. 16 If they had painted Titanic with Titanium, it wouldn't rust! 17 When good looks count, count on Titanium. 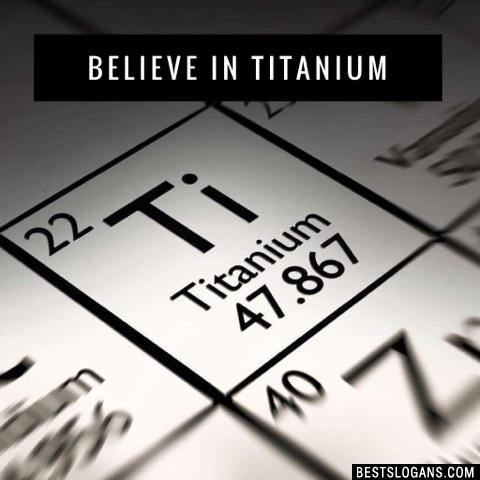 19 Titanium: the godliest element. 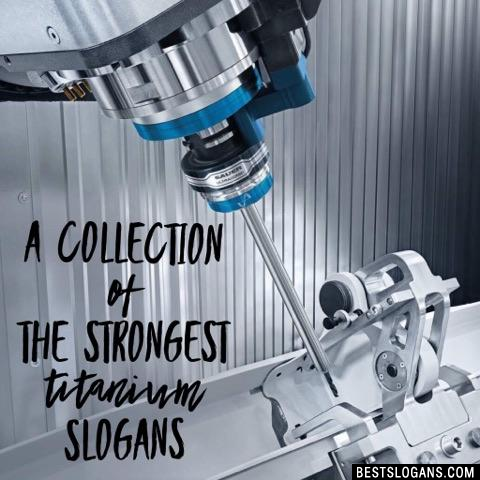 Can you think of a good Titanium Slogans we're missing? Or come up with a clever one of your own. Please share below.